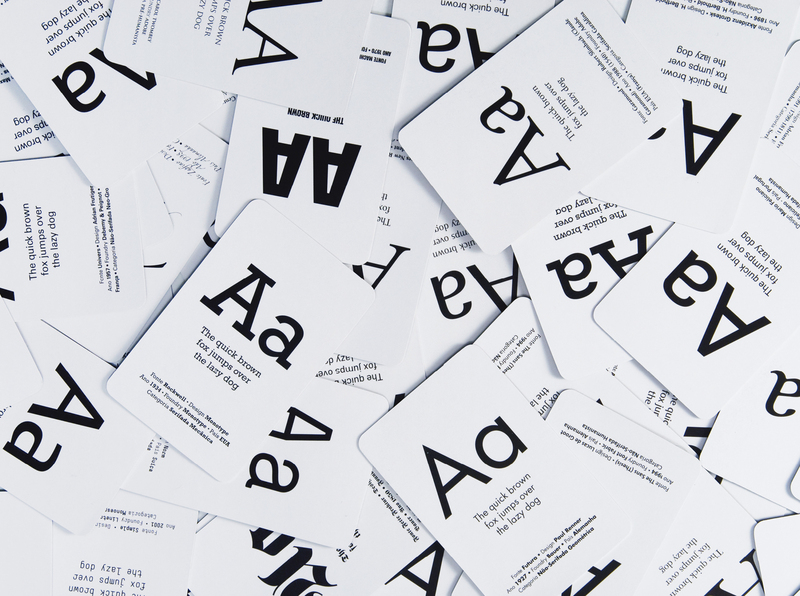 Originally created as a self-promotion annual gift limited to 300 numbered copies, the Typeface Memory Game was later released with BIS Publishers as a product. The game has twenty-five pairs of cards, each presenting a different type family. The box also contains a glossary with terms used in typography and a text about the history of type design. Interesting and fun for type lovers or curious laymen, the game is on its second print run, and over 5.000 units has been sold worldwide.